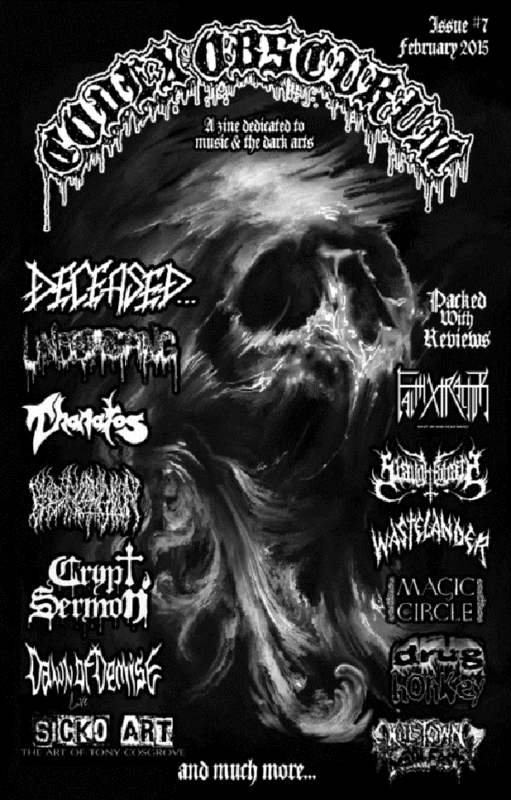 Kever are playing a show November 9th in Tel Aviv, Israel with Spectral Voice and Blood Incantation. 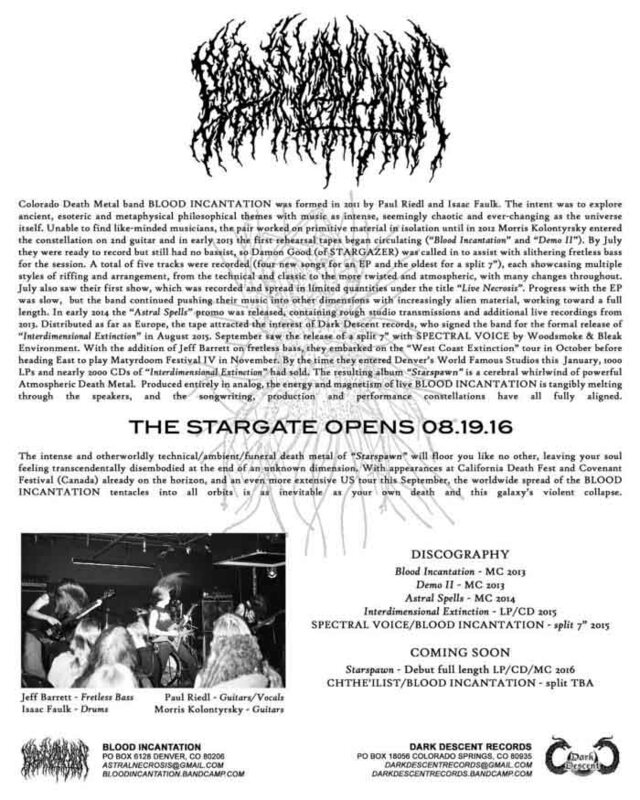 Blood Incantation have announced their debut full-length Starspawn out for release August 19th on Dark Descent Records. 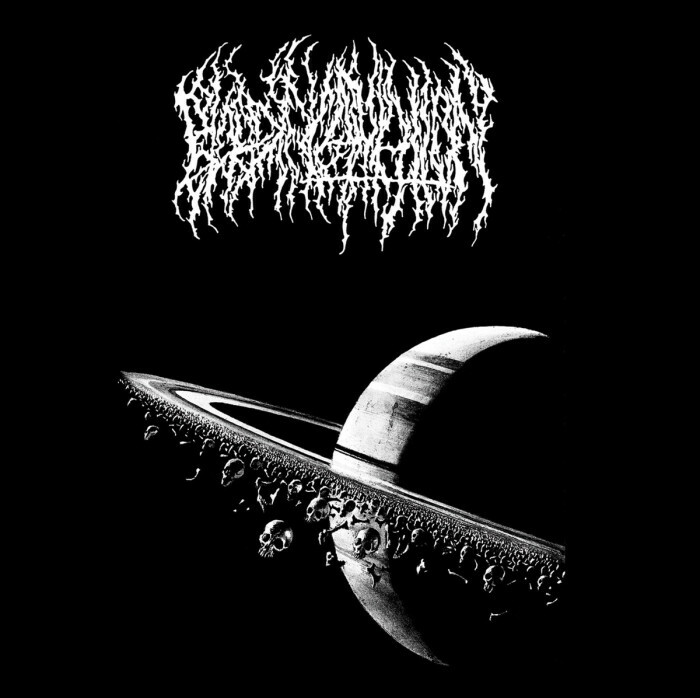 Blood Incantation released their debut EP Interdimensional Extinction last year to little fanfare. Having heard one of the US death metal band’s songs on a Dark Descent compilation, I was highly anticipating this release and was not disappointed. However, other respectable authors have dismissed it without giving it the attention it deserves. 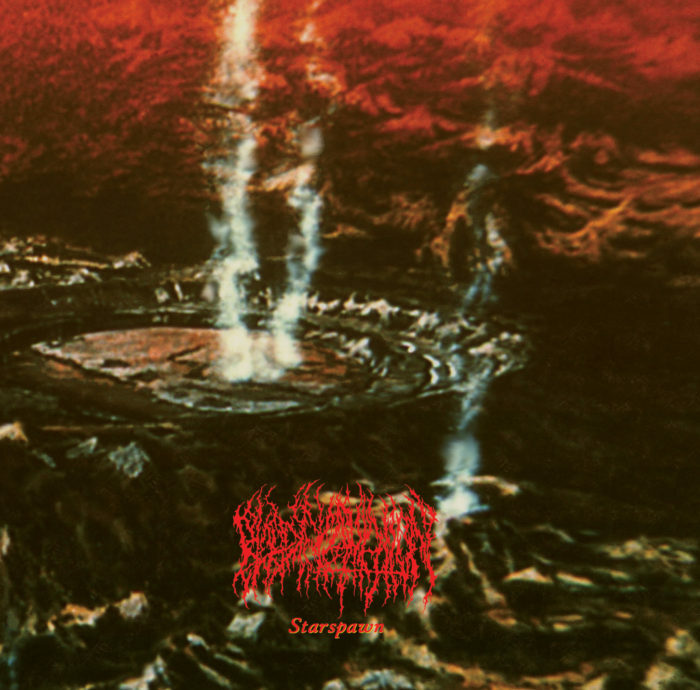 Because I’ve only grown to appreciate this EP more over the last several months, I intend to elaborate on Blood Incantation’s strengths, because I believe they deserve more coverage. Guitars are the focus of and main engine of Blood Incantation’s music. Typically one guitar plays chords in rhythmic bursts to support the other guitars which harmonize faster-moving and more complex melodies. An excellent balance between the low-register rhythm chords and the weird-and warbly-leads is always maintained. During high-tension segments, the guitars mainly play in unison for maximum impact, and during some of the more paranormal passages, the drums and rhythm intensity are dialed back just enough to open up space for the imaginative and unpretentious leads. The best of the guitar solos remind me of those on In the Nightside Eclipse, sharing that ability be technically modest yet very evocative. Blood Incantation’s flailing-tentacle leads mysteriously manage to reflect or echo the dynamics of the chord pattern underneath, achieving symbiosis with the rhythm guitars and drums, even while ratcheting up the tension to the point of anticipating a total musical disintegration. Other times, leads are used to gracefully close out a song, resolving the musical stress by harmonically tying together the wildly whipping threads of various melody. Vocals are perfectly competent and never interfere with the shape of the riffs, partially due to having a more forward-sounding presence in the mix, compared to the guitars which cast a broader curtain of sound and envelop the rest of the instruments. Drums are in thrall to the guitars, and when the guitar rhythm turns odd or just a little unorthodox, they provide an unobtrusive, robust foundation on which the highly melodic riffs build. Special mention must go to the session player with the fretless bass, who plays in the technically adventurous death metal band Stargazer. Giving each a riff an uncanny, slithery feel, the fretless adds another layer of harmonic depth and texture in a way that is underutilized or outright ignored by many death metal bands. On the extra-musical side, Interdimensional Extinction‘s cover art is not only very cool, but an effective visual representation of the themes present in the music, featuring a distant planetary body surrounded by an orbital ring of human skeletal bits. Human skulls are always related to human death and sometimes death in general, as a concept that extends further than the merely personal, into the planetary, the celestial, and yes, even the “interdimensional”! This far-out unearthly realm is what Blood Incantation attempts to explore, as their perspective encompasses not only human death, but death as a common fate for all for all systems of organized energy, from a single bacterium to the largest galactic cluster. 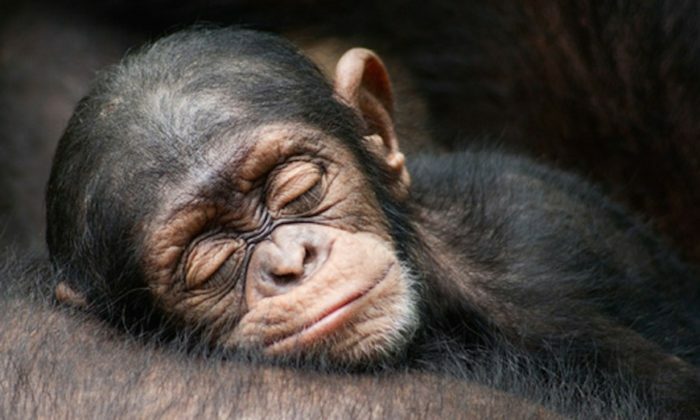 Does the band intentionally attempt to establish a sympathetic link between humans and non-human things by relating us all under the empirical inevitability of death? Maybe; maybe not, but these are the sorts of imaginal realms that great death metal can take a listener’s mind. All four songs on this EP are proficiently crafted and offer the very thing that most lovers of death metal are either actively searching for at least glad to hear; death metal in its unadulterated language, but through a distinctive dialect. Perhaps the band’s native Colorado landscape has informed their intuitive songwriting, as each song moves through jagged peaks and rolling valleys, organically and without pretense. Due to the clarity of the arrangements and mixing, the songs are actually relatively easy to follow, and riffs do not hide behind distracting, murky guitar tones or gratuitous reverb. There may appear to be similarities with Demilich or Immolation, but they are only skin-deep, and Blood Incantation use intriguingly idiosyncratic methods of riff development and song structuring. All things considered, including that I have been listening to this solidly for six months now, I can only think of good reasons to recommend this EP.